A prominent Oromo wisdom keeper, oral historian and spiritual leader, who spent more than 30 years teaching the Oromo culture and cosmology, has been missing since September 27, family and friends said. Dabassa Guyo Saffaro was born and raised in Yabello, Ethiopia. He moved to Kenya in the early 1970s fleeing political persecution, according to his daughter Darmi. He has since lived in Nairobi at times under the protection of the UNHCR. Guyo was in the process of renewing his expired Kenyan ID and UNHCR travel documents when he vanished. Darmi, 22, is calling on the UN refugee agency, the Kenyan media, government and lawmakers to help locate her father, whom many describe as a living encyclopedia of Oromo wisdom, cosmology and oral tradition. The family is also asking international human rights organizations, the Oromo diaspora and other indigenous community leaders to help in the search effort and in investigating the circumstances of his disappearance. Erko and nine other Oromo refugees eventually convinced Guyo to start teaching a course on Gadaa and Oromo culture. The effort led to the establishment in 2000 of “Arga Dhageettii Gadaa Oromoo,” an Oromo cultural institute where Guyo continued to teach Oromo culture, spirituality and the Gadaa system until recently. Guyo was picked up from his residence in Mlolongo, a township outside of Nairobi, on September 25 by his son-in-law, Shamil Ali, and another individual from Kenya’s Oromo community, according to Darmi. He was invited by the community to preside over and perform rituals at an Irreechaa celebration at Nairobi’s City Park on September 27, something he has done every year for decades. The respected leader reportedly returned to Eastleigh that evening after performing the ritual to spend the night with Ali, Darmi’s ex-husband. Ali says the father of six changed into a regular wardrobe after they got home and stepped outside for what he assumed was a “routine” walk. Ali says he became gradually more concerned when the elder did not return after an hour and as the night began to fall. Guyo was last seen wearing white pants and green sandals. Darmi thought it was odd — and even uncharacteristic — for Guyo to leave behind all of his belongings and identification cards even if he ventured out for a quick walk. “My father never leaves his bag behind,” said Darmi, adding that her father had lived in Kenya for nearly four decades and knew his way around Eastlight very well. “I was told Dad left everything of his behind, but still he can’t just get lost like a kid.” Guyo speaks Swahili and Oromo. Ali and Guyo’s acquaintances in the United States and Europe fear that he might have fallen into the wrong hands, noting that Eastleigh is no longer a friendly neighborhood for immigrants. That the missing elder looks like a Somali in his physical appearance almost doesn’t help in an environment charged with official ethnic profiling, according to Jim Berenholtz, who had known Guyo for more than two decades. In recent years, Kenyan security officials have rounded up immigrants— particularly Somalis — en masse amid a heightened crackdown on those suspected of having links or sympathies for the militant group, Al-Shabab. Guyo’s family is desperately seeking information about his whereabouts. Ali maintains that he had searched local police stations, jails, hospitals and mortuaries for the missing elder at no avail. Darmi, who is seeking a divorce from Ali, questions some of her ex-husband’s accounts of her father’s unexplained disappearance and she plans to file a separate missing person report this week. Both say they can’t rule anything out at this point, including a possibility that Ethiopian spies might have kidnapped the spiritual leader. One theory is that Guyo gave an unfavorable speech at Ireechaa and there were spies at the event. Ali also recalls Guyo had in recent months complained about some “pressure” from the Ethiopian embassy in Kenya. Erko and at least two of Guyo’s former acquaintances in the U.S. recall he always had concerns about his safety and had told them unidentified individuals had been nagging him to return to Oromia and teach Gadaa— an offer they say Guyo had repeatedly refused. Those who knew him say Guyo was openly critical of the Ethiopian government and the atrocities it commits against the Oromo people and the systemic repression of their culture. Understandably, there are a lot of speculations about his whereabouts and what might have befallen him. But at this point the family says their best hope is that the elder is indeed in Kenyan or Ethiopian custody. His former students, including Berenholtz and Erko, say Guyo was a truly gifted orator with a very deep knowledge of the universe and the Oromo Gadaa system. 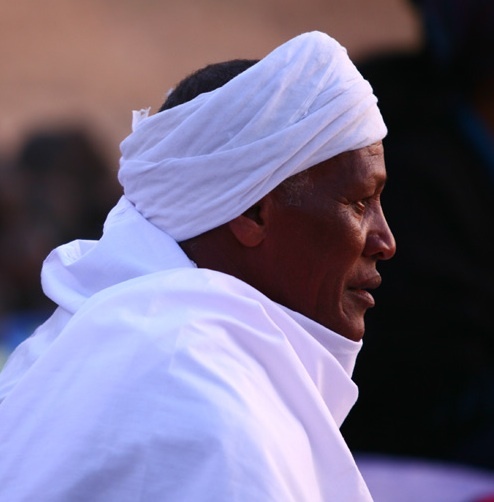 The highly respected seer and mystic was an informant to such prominent anthropologists as Gamachu Magarsa, Paul Baxter and many others who have studied the Gadaa system. 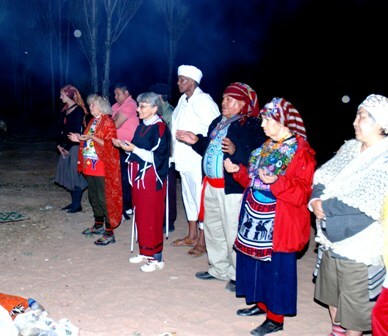 In recent years, Guyo has been working with several globally recognized researchers, anthropologists and other indigenous nations, such as the Mayans, American Indians , Kyrgyz, the Altaic and other indigenous groups to raise awareness about Oromo cosmology and indigenous belief system. 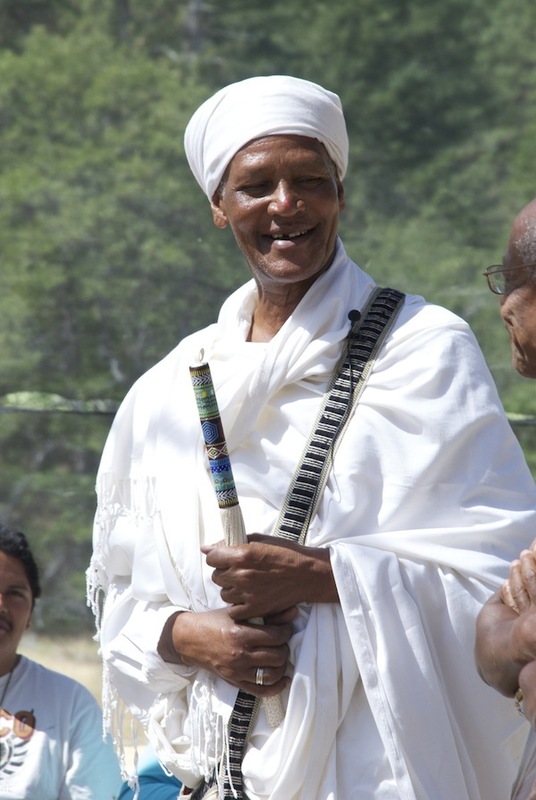 Over the past decade, the Oromo wisdom has travelled to the U.S.,Guatemala, Kyrgyzstan, Australia and several European countries to share his wisdom with Oromo expats and other indigenous people. Erko and others say Guyo had a unique ability to distill complex concepts about astronomy, a sophisticated Oromo calendar and numerology system “and make you sit there (listening) the whole day without even thinking that you were there for a second.” The renowned historian can reference specific dates and historical events from memory in each and every part of Oromia, according to Erko. He also had an unmatched ability to not only interpret but also connect age-old Oromo prophecies with current events. None of the people we spoke with could conclusively say he’s kidnapped but all point to the history of Ethiopian intelligentsia in targeting such prominent Oromo nationals even beyond its borders. In addition to his lecture at Irreechaa, which his friends say may have drawn the ire of the Ethiopian intelligence, Guyo has been traveling around the world to teach Gadaa and raise awareness about the systemic suppression of Oromo culture and heritage in Ethiopia. Guyo’s disappearance on the same day he spoke at Irreechaa appears to lend some credence to their suspicion. Anyone with information about Guyo’s whereabouts is encouraged to contact his family or the Oromo community organization in Nairobi. You can also send an anonymous tip to Advocacy for Oromia at info@advocacy4oromia.org.